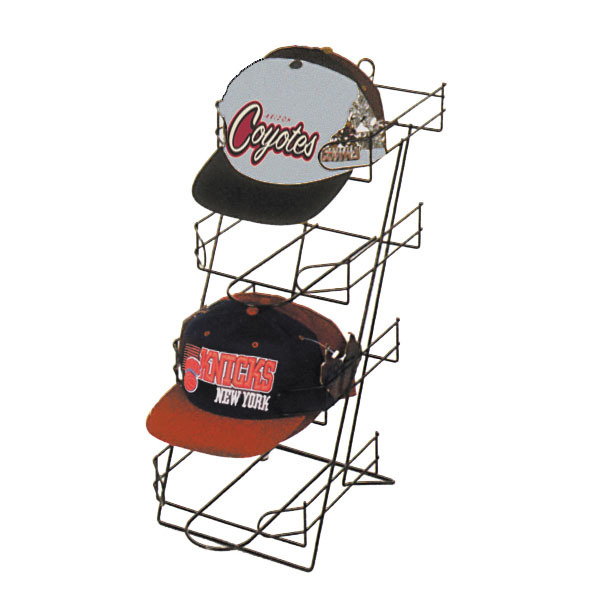 Cap Display Racks in stock & Hat Racks Ship Yoday! Counter Cap Display can hold up to 48 caps on 4 tiers. Place this compact rack on your check out counter or anywhere you want to Increase last minute impulse cap buys.